Original owner, California car never seen snow or salt. Excellent condition probably the lowest mileage manual transmission Pro-4X out there. This is an unmodified factory original Pro-4X, with under 8,000 miles on it. I purchased it new back in Jan/2014 with the idea that I'd take use it in the nearby mountains, but my job has prevented me from using it often enough. I found myself putting less than 2,000 miles a year on it. I have too many vehicles (5) and this one has been reliable with 0 issues and it's not being used as it should. This showed up in the site email. I'm guessing OP just replied to his notification email instead of posting it here. Well, I've started with a price of $29,990. I'm willing to lower it a bit if it gets a good home. I'll be honest with you I had big plans for the vehicle. I researched the purchase for the better part of a year. I was torn between the Pro-4X and a 4-Runner. I went with the Pro-4X because of the stick shift, shocks, wheelbase, etc. generally a more capable off road vehicle over the Toyota and far more reliable than a jeep. I feel I made the right choice. 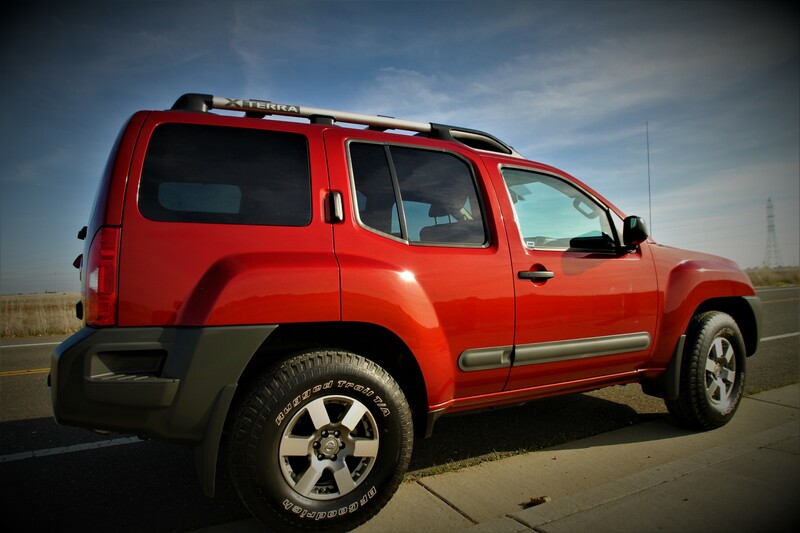 This Xterra has performed flawlessly. I've just listed it and as the time progresses I'll likely lower the price until it sells. I'm hoping to sell it by June. That's exactly right. Sorry. Should have replied here. It's down to $26,900. I've posted it on Craigslist and the autotrader website. If you guys know someone who is interested in a very clean, ultra low mileage pro-4x with a manual transmission this is a good one. California vehicle, never seen salt all original. It showed up on Jalopnik's "Nice Price or Crack Pipe" survey yesterday! Hot shiat! Yeah it was. Disagree. I would love to own that, and drive it back to Texas stopping at all the cool sh*t along the way.